These days, writing your own marriage vows is fairly easy. There are countless examples online, not to mention books and magazines. The hard part can be figuring out how to say exactly what you want while making the vows memorable and meaningful. 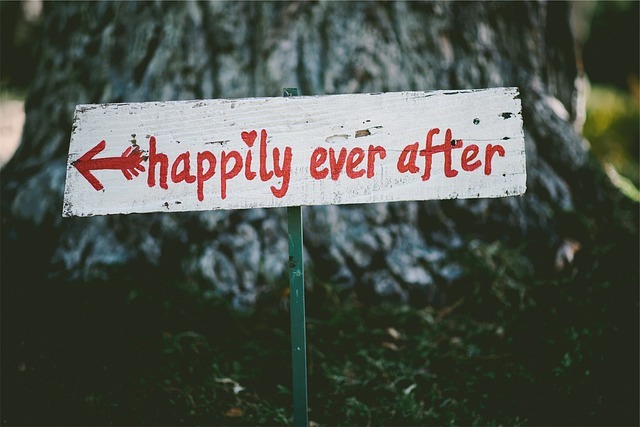 In all the excitement of making wedding arrangements, many couples put their marriage vows on the back burner, and wait a little too long to write them. This can result in rushed vows that don’t accurately reflect how the couple truly feels. Since this is such a big and important part of the wedding ceremony, be sure to take the time to write your marriage vows properly. You can begin early, and steadily work on them over the months leading up to your wedding. Here are some tips to help you write your own marriage vows so that they are just right. As mentioned before, there is no lack of marriage vows online and in magazines or books to research. These are great to pull from so that you don’t leave anything important out; however, be sure to write in your own voice. Take inspiration, but don’t copy. After all, on your wedding day, you should be speaking from your own heart—not someone else’s. For many couples, they are “becoming one” under their faith. If this is an important aspect of your lives together, consider incorporating your religion’s way of saying your marriage vows. Take a look at this article for information on how to write your own marriage vows based on your religion. Write down every single little thing you love and admire about your fiancé, then select the things that stand out the most. Concentrate on these to help you focus on the most important traits, and give attention to them with those sincere words. Explain why you chose to stand at the altar with this specific person; how they won your heart; what they give you that no one else can, and your hopes for the future. Talk about your history and unforgettable moments you’ve shared together. Remember little details and funny or touching times. With your vows, everyone listening should see clearly exactly why you two are perfect for one another. While it’s your wedding and you can honestly do whatever you like, it is a good rule of thumb to keep your marriage vows no longer than five minutes long. (The average is 2-3 minutes.) While it’s not about your guests so much as you and your fiancé, your guests’ attention will start to be lost if you go on too long. If this is important to you, try to be short and striking without transforming your marriage vows into a public speech. Hopefully you find these tips on writing your own marriage vows helpful. Remember to start early and draft as your wedding plans move forward. If you’re currently planning your wedding and are looking for a stunning Los Angeles wedding venue that’s perfect for your big day, check out our photo gallery at Platinum. You can also contact us with any questions you may have! We offer not only a stunning space, but expert wedding planning advice.